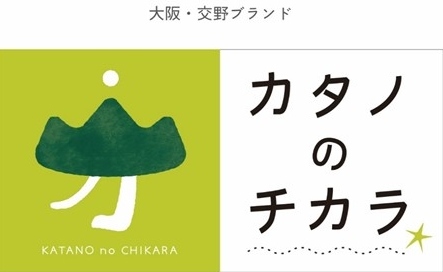 The Katano Tourist Information Office (KTIO) is the information desk managed by Katano Tourist Association (Katano Hoshi no Machi Kanko Kyokai). The office is located in the Section for Community Promotion (the annex of Katano City Council). KTIO provides you with helpful information about events and popular spots in Katano. Why don’t you visit the office first unless you decide what to do in Katano? 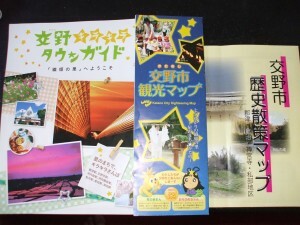 The sightseeing maps for travelling Katano is available at the Katano Tourist Information Office. 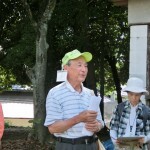 KTIO has voluntary guides, who help you to visit Katano’s spots. The leader of the voluntary guides, Mr. Shuji Takao, helds a study tour for new voluntary guides to learn the history of Katano every month. 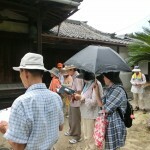 The trained guides walk around the town to collect much more eqisodes about Katano. 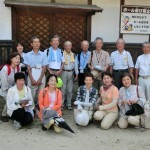 You will be able to find new aspects of Katano with the voluntary guides. KTIO can also arrange a tour course for you. If you want to make your travel more enjoyable, KTIO’s voluntary guides always welcome you.